New players very welcome (grade 3 standard and above). 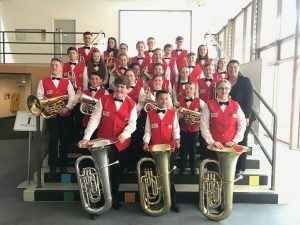 We welcome new players of all instruments, from about Grade 3 standard upwards, but we specifically have vacancies at the moment for two front row and two back row cornet players, and two Bb bass players. 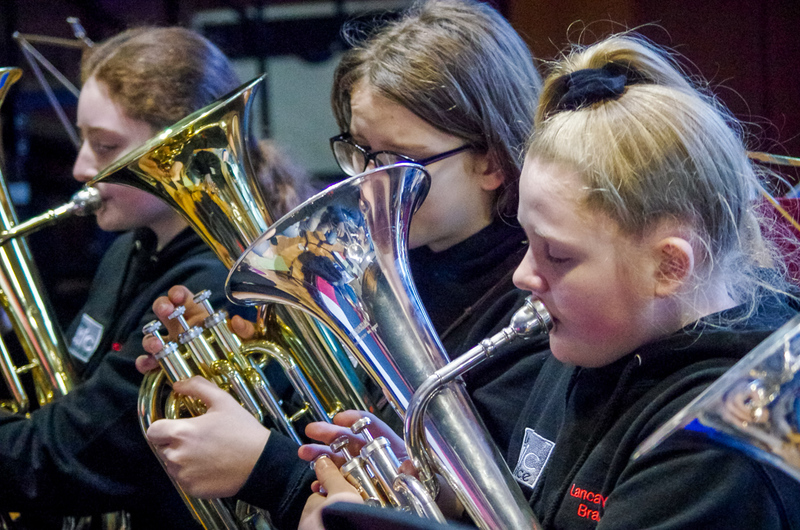 Rehearsals are at St Michael’s High School in Chorley and we have an exciting programme of forthcoming events and concerts including National Youth Brass Band Championships, a residential course and a summer tour. Please put these dates in your diary. As a member of a county ensemble, we expect you to be committed to attending rehearsals and events. There may be additional performances added to the schedule through the year. For dates of events or concerts visit the events page here.